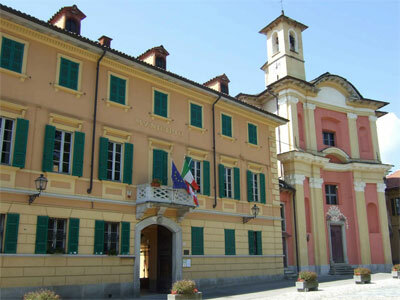 The Tornielli Museum is located in Ameno, a small town on the banks of Lake Orta, inside of the Tornielli Palace. The museum represents a truly great place for gatherings and study, an important civic center in the region, where art and culture coexist synergistically. The museum area, reimagined in 2012 by DA-A ARCHITETTI (Elena Bertinotti, Anna Chiara Morandi, Paolo Citterio), hosts a permanent collection dedicated to contemporary art as well as temporary exhibitions, workshops, teaching laboratories, and conferences. The museum offers shows and events on top of guided tours, cultural gatherings, and conventions. There is also an area within the museum that provides information about "Cuore Verde tra Due Laghi" (Green Heart between Two Lakes), the region bound to the east by Lago Maggiore (Lake Maggiore) and to the west by Lake Orta. This area is the city fabric’s point of reference and attracts great influxes of tourists to the region. The Tornielli Museum provides information about products, possible itineraries, projects, and events taking place in the region. The museum’s library contains an important collection of books and art that make up part of the Macchi Luna fund. There is also an area within the museum that provides information about “Cuore Verde tra Due Laghi” (Green Heart between Two Lakes), the region bound to the east by Lago Maggiore (Lake Maggiore) and to the west by Lake Orta. This area is the city fabric’s point of reference and attracts great influxes of tourists to the region. The Tornielli Museum provides information about products, possible itineraries, projects, and events taking place in the region.